"I am the spirit of the place." Honest to god, 2017 has been one of my best reading years ever, and I am pretty sure it's because I've started to become much more selective in my reading as I start to zero in on what really hits my buttons as a reader. Admittedly, some books I read just for relaxation and fun or for when my brain is exploding after having been through several literary choices in a row; others are repeat works by favorite authors, some are great for when I'm in the mood for chills up the spine, but the true, inner joy for me has become finding works that are different, exquisitely written, way off the beaten path, out of the mainstream books in which plot is but a handrail for making my way through what's really going on. To add to my delight, Valancourt has published what I consider their best release in their history, 'Twixt Dog and Wolf, by C.F. Keary, reinforcing my belief that Valancourt has somehow managed to tap into my reading wavelength. It's positively eerie when I stop to think about it. 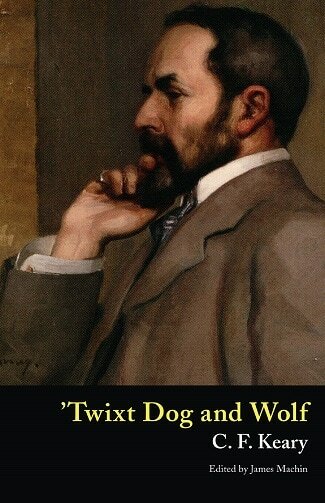 As we're told by James Machin in his excellent introduction to this book, the title 'Twixt Dog and Wolf "comes from the French expression for twilight,"
I'm not going to give any major details about any the stories in this book, but there are three long ones that fall under the title "As Breath into Wind." The first is "The Message from the God," in which the reeds whisper a terrible truth and bring word of an "unspeakable terror;" followed by "Elizabeth" a magnificent piece of writing set in Medieval Germany, where a woman comes to understand her true destiny. 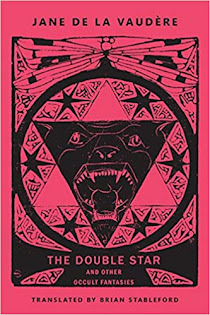 This story was superb, a story which demands more than one reading since, as Machin reveals, it is laden with "alchemical allegory and symbolism." Personally, whether the reader truly gets into understanding those details or not, it is a beautiful, absolutely gorgeous piece of writing that prompted the immediate purchase of several works by German Romanticists. But for me (and please pardon the use of clichés here but I can't help it), the true pièce de résistance, the jewel in the crown, the masterpiece of the entire collection here is "The Four Students" which is one of the best stories I've ever read set in this time period. Oh my god -- if the whole book had just been this one tale it still would have been worth the price. Set mainly during the Terror following the French Revolution, here a man hears and heeds the call of "the spirit of the place" with absolutely horrifying results. I can't say more, and anyone who decides to read this book will understand why. Speaking of "the spirit of the place," I think readers who move beyond plot will discover that this is a prominent theme that is woven deftly into the fabric of all three of these stories -- how this is so I won't reveal but look for it. Finally, the last section of this book is composed of ten short "Phantasies" that pretty much speak for themselves, with a level of macabre depth that belies their brevity. For me, it is perfection between two covers. * "Entre Chien et Loup"
And the old Shepherd knows the twilight frore. Just recently I said to someone that I don't believe Adam Nevill could ever write a bad book, and with the publication of Under A Watchful Eye, he has proven me right once again. There are a number of surprises awaiting the reader of this novel, so anyone thinking maybe they'd like to read it is in line for a definitely bizarre but highly-satisfying experience. As in most of the books of Nevill's that I've read, while there is definitely a horror story here, the threats also come from within. The author really excels in his ability to focus on a few characters and pull out what's deeply embedded; he is also a master of atmosphere that immediately grabs hold and never lets go until well after the final page is turned. No long synopsis here since I will wreck someone's enjoyment of the novel by actually providing one. What I will say is that the novel centers around Seb Logan, a writer who has sacrificed much and worked hard to become successful. Things are going quite well for him -- he's living a quiet, orderly and idyllic life, one he's definitely earned over the years -- until he begins to see a "dark figure" watching him where ever he goes. But it's not just the figure that bothers him -- soon the sightings, some of which seem physically impossible, are accompanied by the feeling that whoever it is knows his name, and he starts becoming paranoid, wondering why this is happening to him. Enter an old acquaintance whose presence once again in his life throws his very being into not just disarray, but utter chaos, putting at risk everything Seb's worked for and achieved. Because of their past connection he takes this person in, and that's when everything starts to hit the fan and come unglued. What follows is a record of a spiral into the deepest levels of darkness -- and as Seb begins to discover, it is a darkness from which there may be no chance of escape. As always, the author has written a novel that completely jangles the nerves as the story, the dark atmosphere and the people all insinuated their way into and under my skin the entire time I was reading. I could smell, see, hear and feel along with Seb -- that's how good of a writer Nevill is. Add to that his uncanny ability to ratchet not just the tension but the sheer malevolence as the story progresses, and it's no wonder that I couldn't put this book down until I'd finished it, reading in the car as a passenger and long into the night in a Miami hotel before we started our week of vacation. The outside world just completely vanished for hours, which to me says that I was completely and deeply enveloped in the novel. I will say that although my favorite book is his Last Days, which I don't believe can be topped, this one comes very close to that same level of excellence. Then again, as I said earlier, I don't think he's capable of writing a bad book at all. While other readers may want to go into detail about what happens here, my advice is to not let yourself know ahead of time what's going to happen. Earlier I noted that there are a lot of surprises to be found here, but even more than being taken aback at just how very clever this novel is, the deliciousness is in letting everything unfold slowly. I know when I've got something fresh, original, and just downright frightening in my hands when I have to resist the temptation to flip to the end, and I had to restrain myself from doing so many times. Modern horror writers are many, but great modern horror writers are few and Nevill belongs in the latter camp. Read the book. "...there's awful strange things in this world." -- from "The Open Door, by Margaret Oliphant. 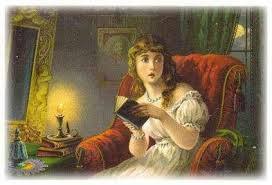 The Virago Book of Ghost Stories combines two of my reading passions. First, of course, there are the ghost stories themselves, and these are, as Richard Dalby states in his preface, "arranged in chronological order," making for a great way to watch the development of the "form of the ghost story" over the last 150 years. Yes -- that's correct -- 150 years. The second thing I'm impressed with is that here, each and every story is written by a woman, some familiar and some more obscure writers whose work I've just read for the first time. It is a superb collection and a definite must-have for the serious ghost-story aficionado, complete with little bio blurbs about each woman at the end of the book. The only downside is that I've made a list of books to hunt down based on said bio blurbs, so there goes the wallet again. There are thirty-one stories in this book and while some are good, there are others that are downright great and for me there wasn't one bad one in the bunch. I suppose it's all about what people enjoy in a ghost story so I get that not everyone will share my enthusiasm, but I read them all of the time and I think it's one of the better collections I've read. From here on I list the stories with only teensy bits about what's in them, so feel free not to read from here on, although I swear there are no spoilers whatsoever. The book opens with a short tale by Charlotte Bronte, "Napoleon and the Spectre", which is a bit comical and sort of reminded me in a way of Dickens' "A Christmas Carol," but was quite different when all is said and done. This one is followed by one of my all-time favorites, "The Old Nurses's Story," by Elizabeth Gaskell, one which is quite well known and which I've read many, many times but still manages to provide a spine chill each time. That's greatness right there. Amelia B. Edwards' "The Story of Salome" set in Venice also gave me a nice case of the willies as did "Reality or Delusion" by Mrs. Henry Wood of East Lynne fame. 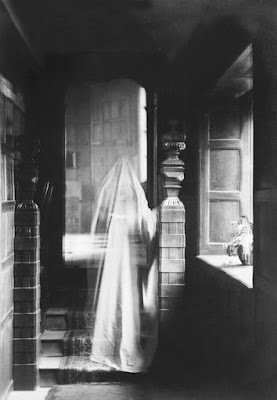 Next up is a short story by one of my favorite ghost-story writers of yesteryear, Charlotte Riddell, "The Old House in Vauxhall Walk," which has a twisty ending I wasn't expecting, as do most of her stories. Margaret Oliphant is next with her "The Open Door," set in Scotland, a true page-flipper from beginning to end as a man races to save his son from what's haunting him. New to me is the writer Ella D'Arcy, whose "The Villa Lucienne" takes on a somewhat ethereal tone as a small group takes an "expedition" to a villa on the Riviera and gets much more than they'd expected. That one is followed by "The Vacant Lot," by Mary E. Wilkins, an American tale in which a family decides to move when they get the bargain of a lifetime on a wonderful house -- but then come to realize that maybe it wasn't such a great deal after all. E. Nesbit's "The Violet Car" also managed to produce hackles, as a woman comes to take on a job as nurse to a mentally ill patient, but realizes she can't tell which of the two people she's living with is actually the one needing her services. It's a sad story, but done very, very nicely. "The Eyes" by Edith Wharton is next, another one I've read before but still worth reading since Wharton's stories go right to the heart of human nature, as do those by May Sinclair, whose "The Token" is one of my favorites of the entire collection, focusing on a sadly-neglected wife who only wants to know if her husband still loves her. Oh my gosh -- May Sinclair is one of my favorite authors and this story is one of her best. That one is followed by another author who is new to me, Richmal Crompton. Her story "Rosalind" is also a favorite and, like Sinclair's work, works on different levels requiring a second read for what's really going on here. This one is not only deliciously spooky, but very telling as well. Margery Lawrence makes an appearance next with her "The Haunted Saucepan" which seemed a bit silly for a while until I realized exactly what was going on here, at which point it wasn't at all funny. Margaret Irwin's "The Book" is a great story, one I've read before and one which has been redone a few times by modern writers. Oh my god -- I was on pins and needles with this one even after having already read it and that speaks volumes. Another equally good one with more than a tinge of sadness is "Miss De Mannering of Asham," by another author I've never read, F.M. Mayor. Another page turner, this story is one of the most haunting tales in the entire collection about a young woman whose life is lived in solitude until that one moment when ... Yikes! 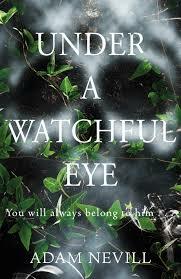 Great ghostly fare here, for sure, and I absolutely must find more by this author. That sad tale is followed by a different sort of ghost story by yet another unknown writer, Ann Bridge, "The Station Road," in which a doctor's wife going to meet a family friend at the station is herself met by one of the strangest occurrences imaginable, and that's just the beginning. Moving on, I will say that while the next story, "Roaring Tower," by Stella Gibbons isn't the best in the book, it's yet another one that is more than meets the eye at first glance. It's set in Cornwall (perfect place for a supernatural tale!) and finds a woman looking back on her self-absorbed adolescence to a time when strange things found their way into her life. I'm not a huge Stella Gibbons fan in the first place, but there's a definite undercurrent to be unearthed here. Following this one we get back into the ethereal zone with Elizabeth Bowen's "The Happy Autumn Fields," about which I can say nothing except it deserves a double reading and is quite good. Dalby's included a story by another favorite writer here, "The Mistress in Black," by Rosemary Timperley, which takes place in a small school where a young teacher was fortunate enough to find a position last minute, then comes to learn why. Very nicely done, but then again, Timperley is a fine, albeit sadly-neglected author. Next up is Celia Fremin's "Don't Tell Cissie" in which two women looking at retirement plan a weekend ghost hunt but don't want their friend to find out what they're up to. 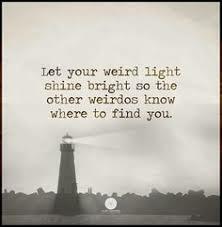 This one is somewhat humorous when all is said and done. That one is followed by a story by Antonia Fraser, "Who's Been Sitting in My Car?" another that needs attention between the lines but is just downright creepy. Ruth Rendell is next with her "The Haunting of Shawley Rectory," which centers on a house in a small village that is only haunted some of the time, as the two people who stay there soon discover. And you thought she only wrote mystery novels. Oy. This is a good one, for sure. 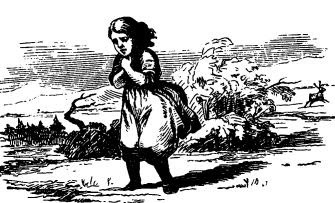 A.S. Byatt's entry, "The July Ghost" may be the saddest story in this book, one that offers a variant meaning of "haunted." Next up is "The Dream of Fair Women," by A.L. Barker, the ending of which brings everything back full circle to its beginning, and that's all I'll say because to tell here would definitely be to spoil. Coming to the end of the book, we find Penelope Lively's "Black Dog," which is by no means an average ghostly/supernatural tale; like many of the tales in this volume, there's much more going on under the surface than on it. I will say no more. Following that one comes Rosemary Pardoe's "The Chauffeur," in which a woman discovers that her friends' home has its very own ghost and goes out seeking answers. This one is okay, not great but still worthy. 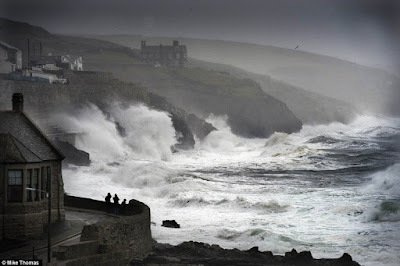 Next up is a story with more of a Caribbean feel, "Diamond Jim," by Lisa St. Aubin de Teran, and it is truly an old-fashioned ghost story -- you know, the kind that should be read at night during a loud thunderstorm with rain and lightning while you're safely wrapped in a blanket. "Ashputtle: Or, the Mother's Ghost" by Angela Carter follows that one, and it is one of Carter's best short stories. Again, to tell is to spoil, so ... Elizabeth Fancett's "The Ghosts of Calagou" is another old-fashioned, shuddersome tale set in the "haunted hills of Calagou," where there are legends of dead men "jealously guarding their treasure." One man is about to check it out for himself. Joan Aiken's "The Traitor" joins the ranks of the other sad, poignant tales, related by a a middle-aged "lady librarian" turned lady's companion who finds herself back in the home of her childhood quite by circumstance. Last, but absolutely by no means least, is "Redundant," by Dorothy K. Haynes, about a man who "had always taken jobs that nobody else wanted" and the one he has here is likely the most surprising of them all. Great ending on this one. So that's it -- I cannot recommend this book highly enough, and as I said, it's a definite must-have for people like me who have a passion for ghost stories over the centuries, especially those written by women. 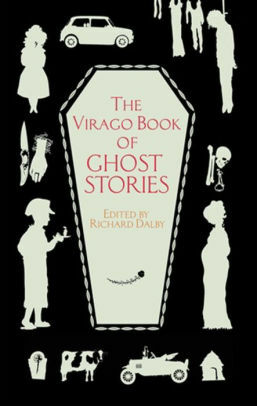 Absolutely delightful it is indeed, and now it's time to hunt down the other Virago volumes of ghost stories. paperback/arc -- my thanks to the good people at Powell's. "It's like a closed circuit." 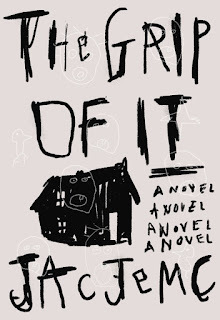 Jac Jemc certainly gets major points for ingenuity here in her newest novel, The Grip of It, and coming from me, Ms. picky-pants, that says a lot. 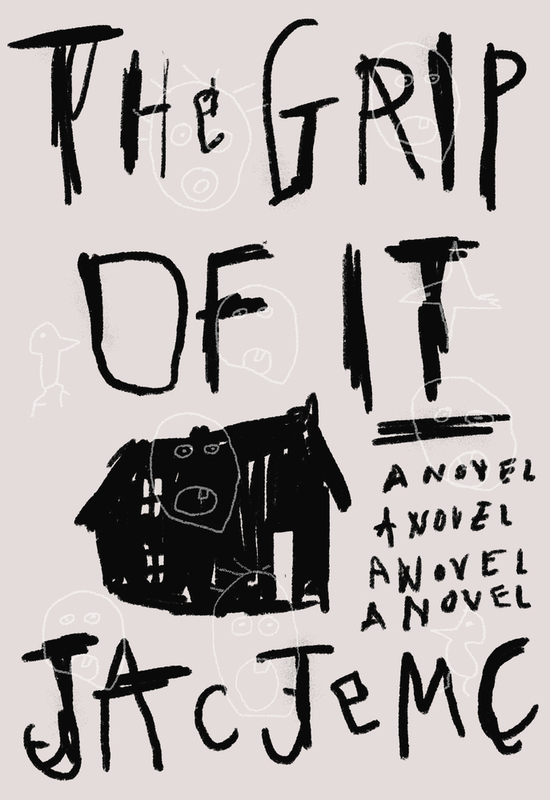 The official blurb calls it "a literary horror novel about a young couple haunted by their newly purchased home," which is definitely the case, but it is not at all your standard haunted house fare. 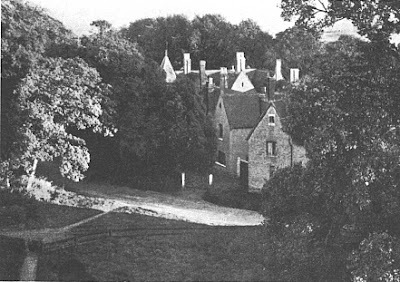 The Grip of It is related via alternating viewpoints between Julie and James, the couple who have bought the old Victorian house at the end of Stillwater. They'd left the city to take James away from his "old haunts" because his wife felt they'd needed a change after he'd gambled away all of the money in his bank account. His gambling problem had put him into therapy, but she thinks that it's time for a "fresh start". They buy a house that's been on the market for quite some time, and it isn't too long after they've moved in that they discover a number of things that need fixing. There's also something very off kilter here, and weirdness sets in almost from the moment they begin unpacking to start their new life. Because creepy moments need to be experienced on one's own, I'm not going to go into detail as to what's going on, but things quickly begin to spiral out of control for this young couple to the point where it becomes difficult to separate what is and isn't real. "This house is sapping us, pulling out our cores"
and as the novel progresses, the reader comes to understand that the "grip" the house has come to have on this couple is far more menacing than either one of them could have ever realized. There are so many things going on in this book that make it worthwhile. As just one example, there are several scenes that bring out the idea of "alternative versions" of ourselves that we reveal to everyone, even those closest to us, and the idea of others' unacceptability of "the wilderness of the mind," where people "will always wonder what to believe," since they "expect the mind's voice to unstitch only when alone." The Grip of It is also another fine example of a writer using the horror genre in a most original way well beyond the norm as a vehicle for exploration into the human psyche. Readers who go into this novel expecting the standard haunted house fare may be somewhat disappointed, since, as I said, this story, when all is said and done, actually moves further beyond, well into the literary zone where the focus is more on people. My only real issue is that sometimes what the author has her characters thinking is more authorial than real-world speak, which for me came across a bit overblown at times, but hey -- that's a minor thing compared with what she's done here. I hope this book does well and that people will come to realize that horror can convey so much more than the content of much-overdone tales of zombie apocalypses or vampire plagues and that when done right, it can move into the realm of the literary.